Redset Premium Roof Mounting System - Australia's Best Kept Secret! 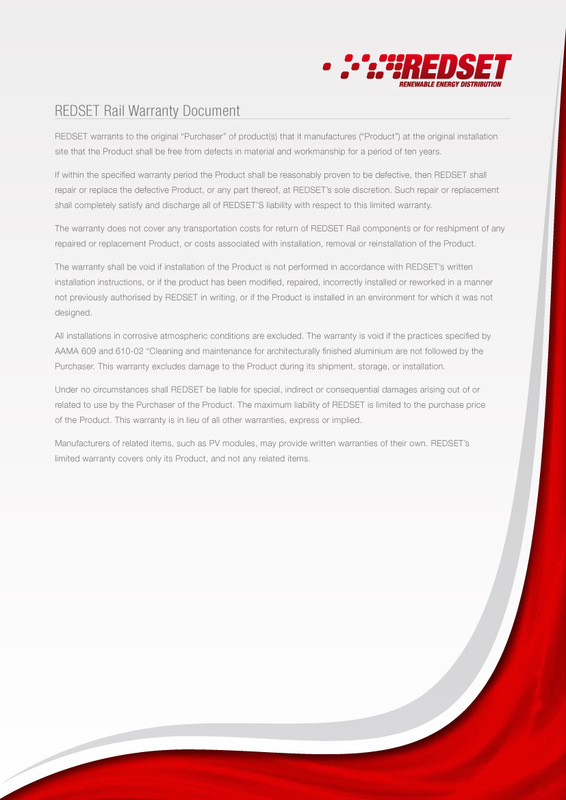 REDSET’s set of rail and components allows for fast installing, strong and secure installations. This Anodised High Grade system, as designed by REDSET can withstand harsh Australian conditions. Furthermore, we’ve implemented a custom T-module. An innovation that allows you to add or remove individual solar panels without having to slide off the array for easy maintenance. This give you perfect spacing and increased positioning flexibility.